Let’s rip the runway! Our very own students at the College strutted their stuff down the runway of St. Joseph Hall. Hours and hours and hours of practice paid off when the doors opened at 6:15 p.m. to let in the audience to view the 13th Annual Spectrum Black Expo Fashion Show, “Serenity in the Serengeti.” If you weren’t there YOU MISSED OUT. 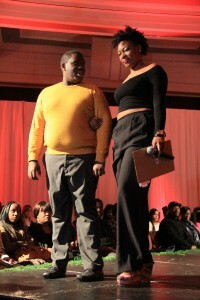 I was there, you know just co-hosting, doing my thing, with the lovely Michael Alston. The fashion show was busy backstage with models; make up hair and the usual quick rehearsal. However, when it was time to bring it and rip the runway the models brought energy and demanded attention when their four inch heels hit the stage. Now of course, at a fashion show there is more than just walking. You have entertainment; singers, dancers and rappers, but also crowd participation opportunities. The fashion show had a best dressed, best toilet paper dress (yes, you read that correctly) and trivia questions for Black History Month. 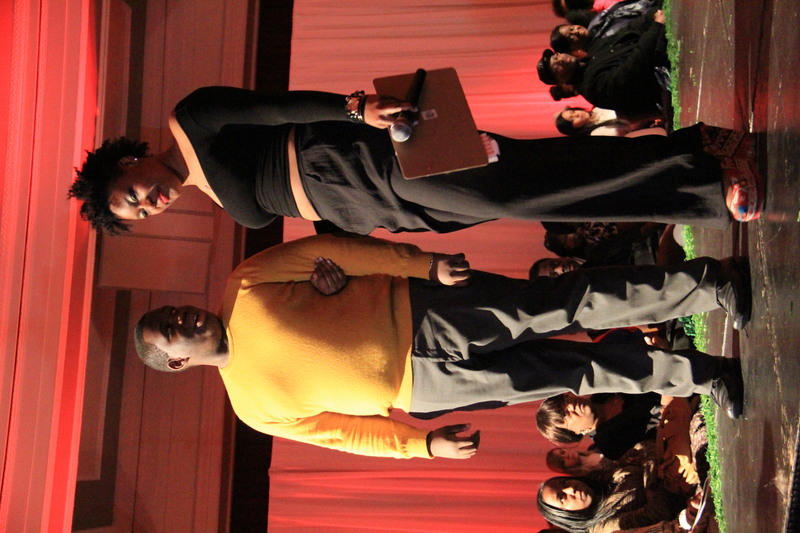 Overall, this Black Expo Fashion Show will go down in history as one of the best! Not just because I was co-hosting (*cough cough*), but because it was planned, practiced and executed. The opening of the fashion show. ← What’s in your closet?